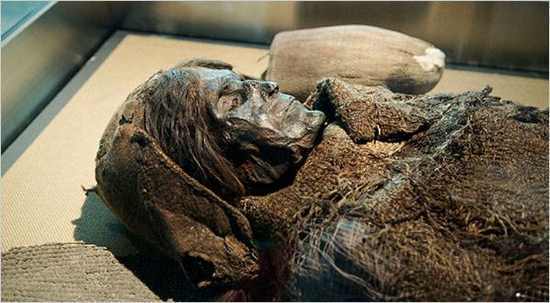 The perfectly preserved mummy known as the Sleeping Beauty of Loulan is one of 200 mummies found in the Western Deserts of Xinjiang, in China. Though they eternally sleep, their startling looks are a source of mystery and controversy. 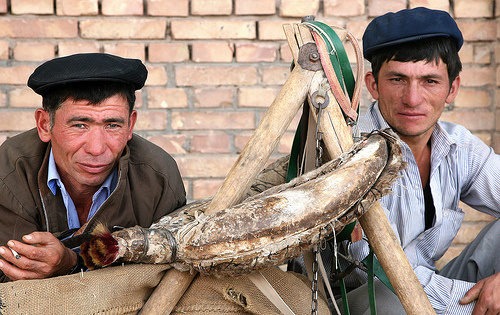 These mummies show the diversity of ethnicity in the area, where the Uyghur people of the region still dispute ancient ownership with the ruling Chinese. 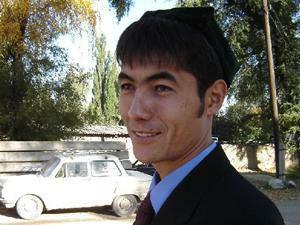 The Loulan Beauty died on the Silk Road, at a time when it was firmly believed no Caucasians had ever ventured that far. 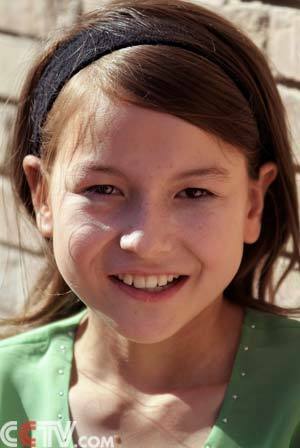 But she is clearly Caucasian, with her high cheekbones, high bridged nose and blonde hair. She died sometime in her 40s, and is still dressed in her red robes, her hair crisply braided in what was probably a very fashionable ’do 3800 years ago. 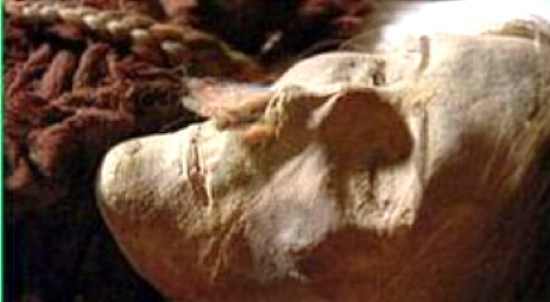 In fact, for 3800 years old, she is remarkably well preserved. She was and is indeed a beauty, tall and stately, with finely carved features. Neither is she alone. She has for company another unearthed mummy called the Cherchen Man, a six foot redhead whose DNA has revealed he was a Celt. How these two came to be buried by the Silk Road, along with two other women and a baby, and surrounded by hundreds of other mummies of European origin found in the same area, is a tantalizing mystery, but it does show in the incredible diversity of travelers on the Silk Road, far further back than was imagined before this discovery. 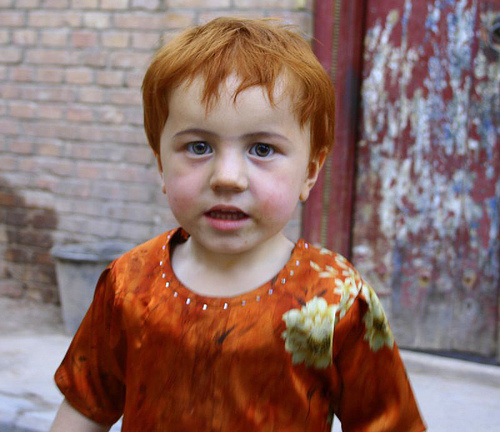 The Loulan Beauty was discovered in 1980, when a film was being made about the Silk Road. Even though they were buried in relatively shallow graves, and with no elaborate embalming rituals, the mummies are in far better condition than mummies found in the Valley of the Kings in Egypt. The dry soil of the salt lake in which they lay acted as the perfect preservative. Today the Loulan Beauty lies in a glass case in the Xinjiang Uyghur Autonomous Region Museum, specially climatized to prevent any deterioration. She is more like Snow White than the Sleeping Beauty, although she will not awaken with a Prince’s kiss, and her life was certainly no fairy tale. She died from the hard life she lived, traveling the Silk Road to an unknown destination, breathing in a toxic mix of dust, sand and smoke from open fires that eventually destroyed her lungs. 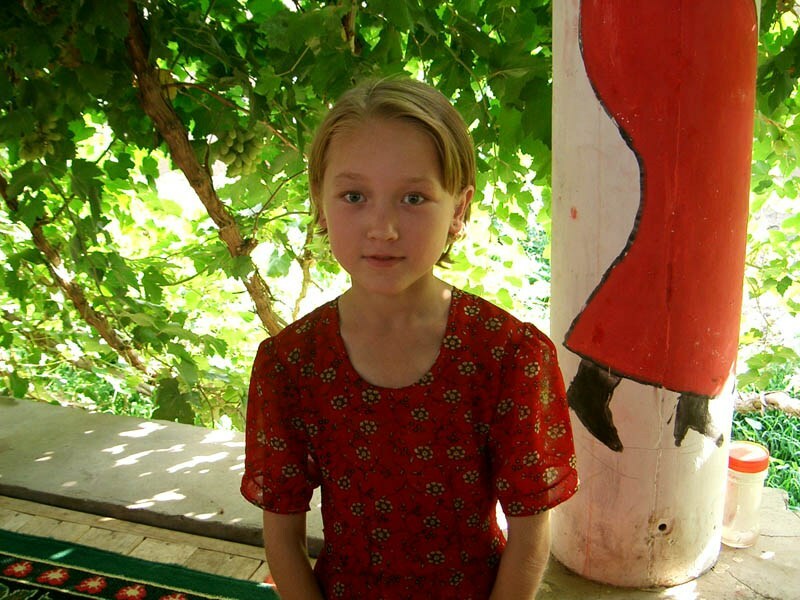 Who was she, and why did she die so far from her ancestral homeland? It is not possible to tell, but the company with which she lay was a very mixed one. Among them were warriors, kings, farmers and artisans, all taking their last rest at least a 1000 years before Caucasians were believed to have ventured this far into Asia. 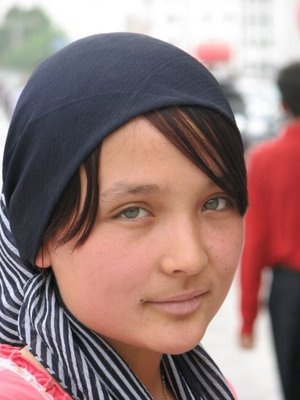 The Uyghur people, who themselves look more European than Asian (see the gallery below for incredible images), immediately claimed the Loulan Beauty as their ancestor, and insist that this is proof they inhabited the region before the Chinese. This proved a sticking point in the study of these mummies, since the Chinese discouraged foreign scientists from investigating the remains. However, in 1993, Professor Victor H. Mair of the University of Pennsylvania, and Italian geneticist Paolo Francalacci, obtained and were able to study samples of the remains. 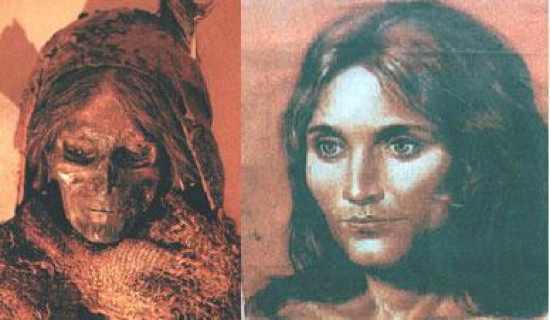 From these samples, the pair was able to confirm that the mummies were European in origin, and not related to the Uyghur. They possibly crossed into China from Siberia, into an area that once was green and hospitable, where people from many cultures came together, from Han Chinese to Northern Celts. The oldest corpse is an old man who died 1500 years ago, the youngest a tiny baby in a bonnet, with blue stones covering its eyes. 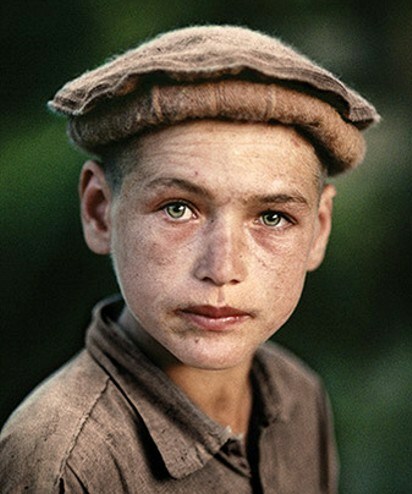 With their European origins, there were very likely many blue-eyed people among the travelers. The implications of this discovery are far reaching. Clearly the ancient world of 3000-4000 years ago was more of a melting pot than has previously been believed, and cultures from Northern Europe and Asia were well known to each other. It paints a picture of a more cosmopolitan ancient world, and makes it easier to understand why some myths, stories and art are common to so many cultures. For example, the ‘endless knot’ of the Celts is a familiar motif in Chinese art as well. Did the red-haired warrior and the Sleeping Beauty of Loulan help to bring them into Asia – or did others of their culture take them back instead? Only the Beauty of Loulan knows for sure, and she will never tell. 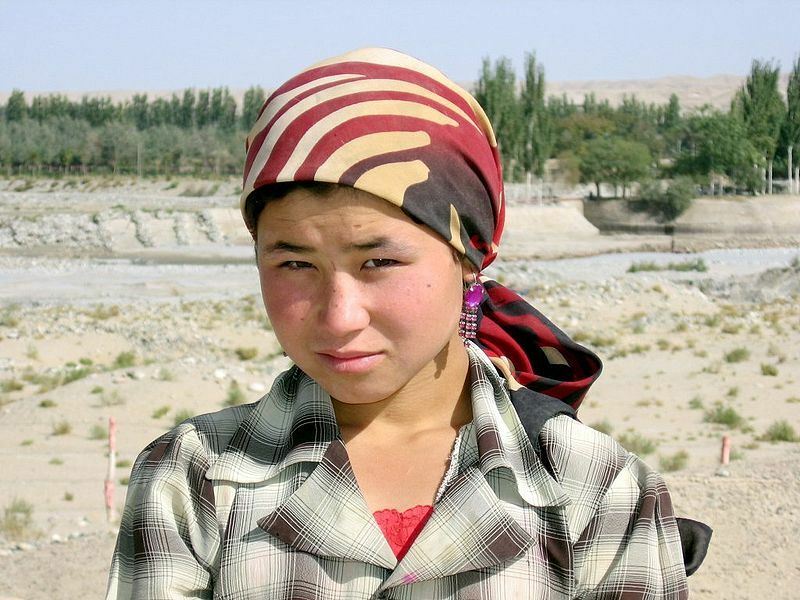 Could Lulan be an ancestor of these incredibly European looking Uyghur people? 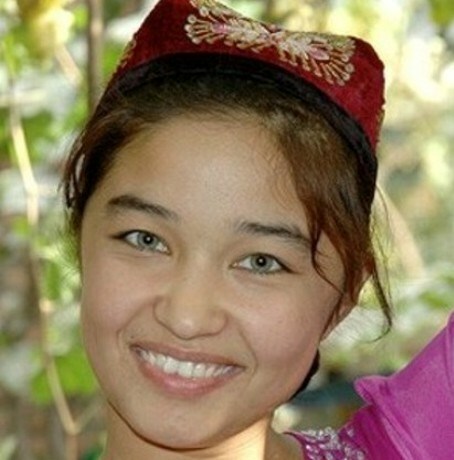 Look at these photos of native Uyghurs to see what you think – remember, these are all native people from China.